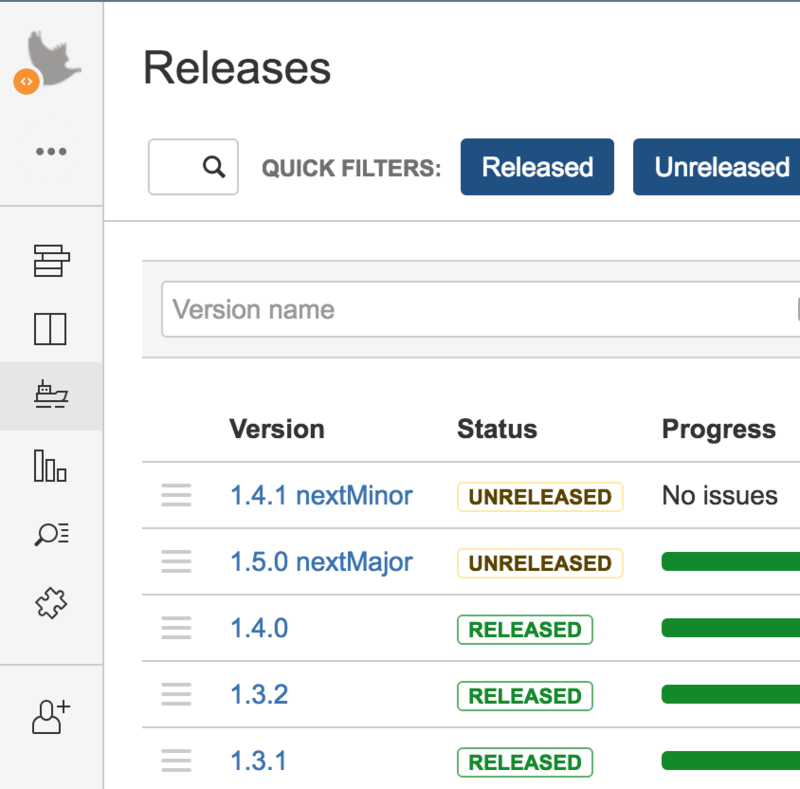 At Actionable, we’ve been using Atlassian’s JIRA to manage issue and bug tracking for our platform. One of the things that’s annoyed me occasionally about JIRA is the order in which releases show up in the “Affected Version” and “Fix Version” dropdown lists. was prone to an issue reporter clicking on the topmost item, assuming it was the most recent. you will notice that each release has an icon to the left of it that is made up of three horizontal lines (the “Hamburger Menu” icon”). If you click and that icon, you can drag the releases up and down the list into any order you’d like. This order is mirrored in the dropdown lists in the issue editor.